The search by model name will not work if you do not place the name in quotes. The model number search will not work if you place a number sign, brand name, or any other prefix before the number. The letter suffix is not required for model numbers in NAO Gres, Zaphir enamel, and models in Golden Memories or Hispania. If you don't know the name or the number of the model, you can, as always, scroll down to the theme category links at the bottom of each catalog introduction page to find your figurine/ornament. 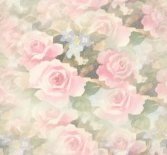 Please also note that there is, at the bottom of this home page, a search function for regular Lladró-marked items that links directly to the excellent catalog at Janet Hammer's web site, A Retired Collection. In December 2016, Lladró announced that the family has sold its porcelain business to a venture capital company named PHI Industrial, which has a good reputation for turning around troubled companies, including such famous names as Procter & Gamble. (The Lladró company has struggled financially for the last decade or more, and the family considers this sale the best option for the survival of its porcelain brand.) The new owners have pledged to retain the brand name, the employees that make it, and the manufacturing facilities at Porcelain City. From a collecting standpoint, I expect no negative impact to result from this sale. The process of adding recent issues to this site's NAO catalog is ongoing. I've also revised some of the category names in the NAO catalog intro so that all the animal categories appear together in the list. I base my secondary market value ranges on the last retail price for the item when I know what that was. The reason for this is practical: when an item has been on the market for a number of years before being retired from production, we have to remember that people were actually buying the item at or near that last retail price, else it would have been retired earlier. If people were willing to pay that price at retail, it's reasonable to base secondary market values on that retail foundation. In a very few cases, however, I have revised the secondary market ranges to begin under the last retail price if I think that price may have been too rich for the current secondary market. Generally speaking, the more expensive a NAO model is at retail the harder it will be for the model to attain over, at, or around that retail price. Estimated values are not an exact science, and, in any case, it is not my job or my prerogative to set secondary market prices. The market will do its own shaking out. I am merely giving it my best guess as to what a model might bring when all the stars align well for any given sale. That does not mean every private collector sale would be able to achieve these estimated values. "What Is It About This Spanish Porcelain?" Welcome to your Spanish porcelain information web site! Led by the armada of the Lladró company's several brands, contemporary Spanish porcelain has taken the collecting world by storm. The several Lladró porcelain brands include or have included NAO, Rosal, Zaphir, Golden Memories, and Hispania, but there are also many competitor companies in the Valencian region of Spain that are unrelated to Lladró, including Nadal, Tengra, and others. This web site aims to give collectors an information overview of these several Spanish porcelain brands and companies. Like so much else in art, 20th century Spanish porcelain tends to inspire the extremes of response. For those who are passionate about it, no explanation is necessary, and for those who aren't, no explanation is possible. The major reason I've launched this web site is the lack of information available to collectors of Spanish porcelain. It's no fun at all to collect things if you can't find information about them. I launched the site in the days between my original book on the core Lladró brand going out of print and my finding a new publisher who would publish the book I wanted to write, one that included all Lladró's known brands. In the meantime, I thought I'd try to light a candle instead of cursing the darkness. Well, the later book finally came out (see info above), but this web site has gained an international following in the interim, so I've kept it up. What About Catalogs for Various Brands? 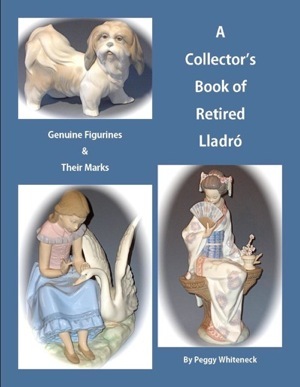 The best catalog for the "core" or regular Lladró collection already exists on the following web sites: A Retired Collection. The catalogs here on "El Portal Porcelana" will include Lladró's other brands, such as NAO, Zaphir, and Golden Memories. See the banner at left for links to those catalogs, which represent virtually the only catalogs of these brands that are available to most collectors. I'm pleased and proud to provide them. Have fun! Unfortunately, there are no available retail catalogs for either the Rosal or Tang brands; many of these models were also made and catalogued in the NAO brand, and I have indicated in the particular listings for these items in the site's NAO catalog whenever Tang or Rosal models of these are known to have been made. Likewise, the smaller, non-Lladró Spanish porcelain makers didn't, to my knowledge, produce published catalogs of their work, so it's virtually impossible to construct web catalogs for those brands or to identify individual items for collectors. (Sorry!) For generic information on these non-Lladró brands, click the "Other Companies" link on the left banner. Search by model number or keyword! Please Note: El Portal Porcelana is an information web site ONLY. While I very much welcome email contacts from serious collectors or anyone else wanting more information on Spanish porcelain, please do not ask me for sales or acquisition assistance, as I am not involved in those areas.